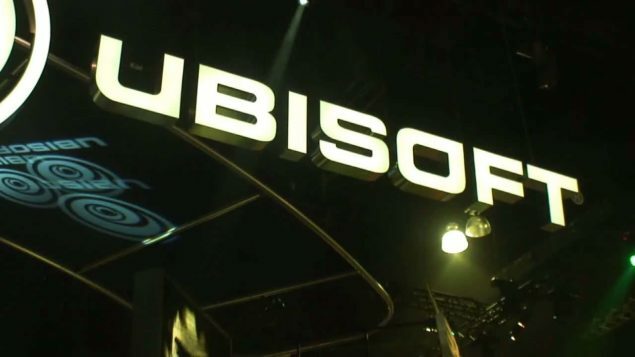 Ubisoft has issued a press release, with its new financial report for the third quarter of its 2014-15 fiscal year. According to the company, the release of Assassin’s Creed Unity, Child of Light, Far Cry 4, Just Dance 2015, The Crew, Trials Fusion and Frontier, Valiant Hearts and Watch Dog have helped its sales figure go higher than the targeted €730 million. As can be seen in the image below, showing Ubisoft’s sales per platform, PC sales accounted for only 9% of total units sold. We can see that both old-gen and current-gen consoles from both Sony and Microsoft surpass that number. 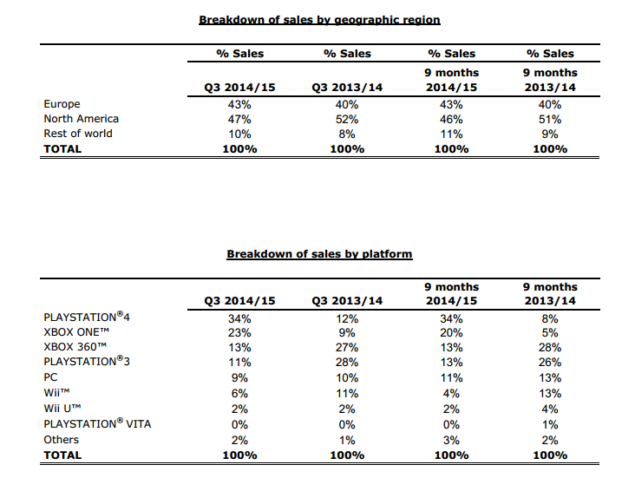 Nintendo’s consoles remain below the PC. These numbers are not surprising. Most of Ubisoft’s latest titles had issues on the PC. Watch Dogs was downgraded and suffered from stuttering issues, Far Cry 4 had stuttering issues (that were lessened thanks to its patches) as well as mouse acceleration problems (that was also fixed), and Assassin’s Creed: Unity is still has issues affecting PC gamers. Unfortunately, Ubisoft will probably take this as an indication of piracy and deem the PC platform not worthy of putting any extra effort on. Many disappointed gamers, decided that not buying Ubisoft products was the appropriate strategy to motivate the company to spend more time optimizing the PC versions of their titles. This is by no means wrong, but it’s probable that Ubisoft will not see it that way. Personally, I would like to be able to play the next few Assassin’s Creed iterations on my PC, without having all of these technical issues. Hopefully with the release of DirectX 12 and it’s implementation and use within future engines and games some of the limitations will be alleviated. It’s understandable that many gamers have lost faith in Ubisoft.